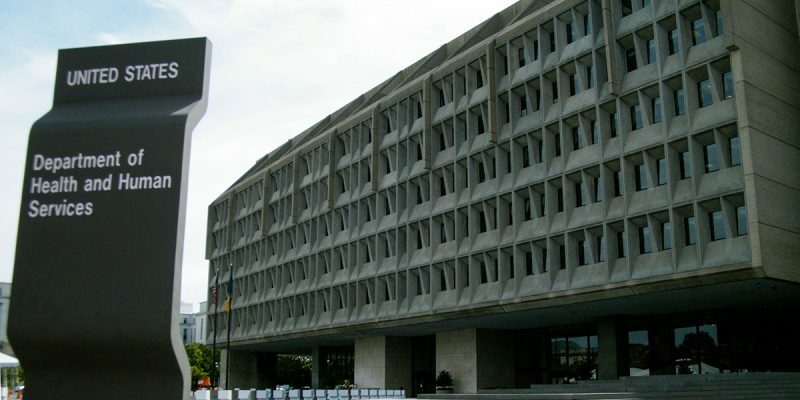 Sent to Department of Health and Human Services Secretary Alex Azar, the letter outlines the groups’ concerns and asks questions of HHS about the plan’s recommendations, with the hope of ensuring that patients’ physical and financial health are protected and considered a top priority. We do not support changes in Part D formulary standards. Since the enactment of Medicare Part D and its implementation, cancer advocates have strongly supported the protected classes policy, which includes antineoplastics, as well as expansive formulary approaches. Elimination of the protected classes policy and the implementation of restrictive formularies with aggressive formulary management tools may serve to limit timely access to cancer drugs. Will Part B coverage standards (for approved indications of cancer drugs and certain off-label uses) apply in the Part B to Part D shift? Will the payment system of Part B apply if drugs are shifted from B to D? The undersigned organizations represent cancer patients, health care professionals, and researchers, all supporters of a health care system that assures access to high-quality and affordable cancer drugs. Drug therapies are a cornerstone of cancer treatment that often also includes surgery and radiation therapy; as a result, access to quality care depends on access to drug therapies. We appreciate the efforts of the Department of Health and Human Services (HHS) to offer some ideas for addressing prescription drug pricing and to outline a number of issues for consideration and comment by the public. Because the blueprint document is an outline with many questions, there is a lack of specificity about some issues. In many cases, the lack of clarity relates to how the proposals will affect patients. In our comments below, we will focus on the impact of the blueprint concepts on patients and will answer questions with the concerns of patients at the forefront. In the message introducing the “American Patients First” blueprint, HHS identifies four issues confronting the health care system: high list prices for drugs, seniors and government programs overpaying for drugs, high and rising out-of-pocket costs for consumers, and foreign governments free-riding off American innovation. The issues faced by cancer patients relying on cancer drug therapies as part of their treatment are 1) an assurance that they will have access to insurance that covers necessary cancer therapies, 2) managing the out-of-pocket costs of their cancer treatment, including drugs, and 3) uncertainty that new therapy development and access to life-saving drugs will be sustainable. Approximately half of all cancer patients are Medicare beneficiaries. Most of them have access to Part B drugs; many but not all have Part D drug coverage. Cancer patients who are enrolled in Medicaid often face formulary management approaches that result in challenges in access to drugs. Those enrolled in employer-sponsored insurance coverage typically have prescription drug coverage, as do those enrolled in Affordable Care Act (ACA) plans. Those enrolled in both types of plans may be forced to navigate drug coverage restrictions and also bear significant cost-sharing responsibilities. In short, the patients in the insurance systems described above typically have prescription drug coverage, but it is often imperfect insurance coverage or insurance that leaves them underinsured for drugs. We recommend that the prescription drug plan include efforts to improve prescription drug coverage to reflect the needs of patients. Value-based insurance design may represent one avenue for consideration. Of grave concern to the cancer community are threats to the ACA marketplaces, because plans offered through the marketplaces may be the final coverage safety net for cancer patients. From the day of diagnosis, a cancer patient has a pre-existing condition and will be uninsurable in a marketplace that is not governed by pre-existing condition protections. Access to insurance with adequate prescription drug coverage must be a part of a comprehensive plan for reform of prescription drug coverage and payment, but actions by HHS are destabilizing the ACA marketplaces and cancer patients’ access to insurance through those marketplaces. In recent years, there have been notable advances in cancer treatments, including treatments that are targeted according to biomarkers. There have also been impressive developments of immunotherapies, using the patient’s immune system to fight cancer. For many patients, these treatments hold promise of survival and high quality of life. Spending on cancer therapeutic drugs in the US has doubled since 2012, reaching almost $50 billion in 2017. Two-thirds of the growth in spending between 2012 and 2017 was the result of drugs launched during that period. Spending on cancer therapies is expected to double again in the five years between 2017 and 2022, reaching $100 billion. Cancer patients and providers are concerned that the system cannot bear cancer drug costs that are doubling every five years, and that patients cannot bear the expense of drugs with median annual costs of $150,000. We support the efforts of HHS to address issues of drug pricing. However, any drug pricing blueprint should include elements that will ensure cancer patients and others with serious health care needs have adequate and affordable insurance coverage. Their coverage must protect against “underinsurance” that can lead to financial toxicity and imperil cancer care outcomes. Finally, drug pricing efforts should address the long-term sustainability of prescription drug development and coverage. We recommend that the Department expand its blueprint to focus more on the adequacy of prescription drug coverage for cancer patients and others, and that the Department also consider innovative and patient-centered insurance design concepts. The blueprint suggests that Medicare Part D plans’ negotiating power should be increased by implementing a five-part plan proposed by the Trump Administration. Key elements of this plan are changing Part D formulary standards and also altering the policy related to protected classes of drugs; the Administration says that eliminating these policies will strengthen the negotiating power of Part D plans. We do not support changes in Part D formulary standards. Since the enactment of Medicare Part D and its implementation, cancer advocates have strongly supported the protected classes policy, which includes antineoplastics, as well as expansive formulary approaches. When patient advocates initially articulated our support for the protected classes policy, we explained that these protections were necessary to ensure that cancer patients had access to all drugs necessary for combination chemotherapy and the drugs that they might need over a long period of treatment during which the drugs used in their chemotherapy regimen might change. Elimination of the protected classes policy and the implementation of restrictive formularies with aggressive formulary management tools may serve to limit timely access to cancer drugs. The arguments that we offered in support of the protected classes policy are even more relevant today, when more cancer patients are receiving drugs that are targeted according to the patient’s genetic profile or are even personalized. In this therapeutic situation, it is critically important that the protected classes policy be maintained. To restrict formularies and eliminate the protected classes policy may lead to a situation in which the targeted therapy needed by a patient would be excluded from coverage. Exceptions and appeals processes have not proven to be adequately responsive and flexible to address the needs of cancer patients, and we urge that the protected classes policy be continued. We understand that there is a difficult challenge in Medicare Part D, to balance the needs of individual patients against the need to strengthen the negotiating power of Part D plans. However, we must oppose the elimination of the important protections for cancer patients navigating difficult, complex, and often targeted drug therapy. The blueprint suggests that a report will be developed that identifies “particular drugs or classes of drugs in Part B where there are savings to be gained by moving them to Part D.” We are concerned that the concept of simply “moving drugs from Part B to Part D” understates the complexity of this endeavor and the potential impact on patients. The report that evaluates this concept should frame the issue as the coordination of drug coverage across Part B and Part D and should analyze how the coordinated benefit will function from a patient perspective. For example, will Part B coverage standards (for approved indications of cancer drugs and certain off-label uses) apply in the Part B to Part D shift? Will the payment system of Part B apply if drugs are shifted from B to D? If there is a shift of drugs from B to D, how transparent will this action be? Will Medicare beneficiaries be informed of the change in the program that covers their cancer drugs? Will this shift be described to beneficiaries as a new, unified drug benefit? Or will this be described to beneficiaries as a demonstration project? If only certain drugs or classes of drugs will be shifted to Part D, how will this selective treatment of Part B drugs be explained and justified to beneficiaries and also to policymakers? What standards will be applied to determine which drugs will be shifted to Part D? If the Part B to Part D shift will be accomplished on a demonstration basis, how will that structure be explained to beneficiaries? How will the Part B to Part D shift be evaluated, in terms of coverage and cost-sharing impact on beneficiaries, the list price and discounts obtained in Part D, and the drug spending through Part D? It is unclear whether a shift of drugs from Part B to Part D can be accomplished without legislation, unless the shift is accomplished on a limited and voluntary basis through a demonstration project. On the other hand, a limited, voluntary demonstration project may pose significant implementation and evaluation issues. We have in the past expressed interest in a test of a competitive acquisition program, or CAP, for Medicare Part B drugs. As we understand the plan that is of interest to HHS, drugs would be acquired and distributed to oncologists and other physicians for administration to patients through a competitive system. Physicians would no longer engage in a “buy and bill” system for acquiring and administering drugs to their patients. A system of this sort might be effective in restraining spending in Medicare Part B and ensuring an efficient system for distribution of drugs. Such a program might also respond to concerns that the current Part B drug reimbursement system may influence drug utilization. Impact of CAP on patient care and patient cost-sharing responsibilities. In designing CAP, HHS should consider how the program will appear to beneficiaries. Will they be alerted to the fact that there is a “new” distribution system for the physician-administered drugs they receive? How will beneficiary cost-sharing be handled? Will billing for Part B drugs occur as it has in the past, or will patient billing be addressed in a different way? These questions go to the transparency of CAP to patients and whether such transparency is necessary. Adequacy of distribution system. HHS should have assurances, before launching a CAP demonstration project, that the distribution system will be responsive to prescribing, including changes in treatment regimen. In other words, will the distribution system assure that drugs are delivered in timely fashion and accurately and that there are no delays or disruptions in treatment due to distribution and delivery problems? Voluntary nature of demonstration and evaluation of its effects. In designing the demonstration project, HHS must address the scope and geographic reach of CAP. Will the project be limited in numbers of practices participating and in its geographic scope? Impact of CAP on Part B spending. A demonstration project to evaluate CAP should only be launched with clear evaluation standards to assess the impact on beneficiaries, the quality of the drug distribution system, and the impact on Part B drug spending. Accompanying reforms of patient care reimbursement. Oncologists indicate that the current drug payment system supports important patient care activities and that eliminating drug-related resources through CAP may have a detrimental effect on cancer patient care. We urge that CAP, if it moves forward, be implemented in parallel with reforms of patient care reimbursement. The Department has expressed its interest in reforming the rebate program because the current system discourages drug price reductions, permits pharmacy benefit managers (PBMs) to benefit significantly from rebates on high-priced drugs, and leaves beneficiaries shouldering cost-sharing on the list price of drugs rather than on the price of drugs after rebate. The rebate program would be replaced by discounts from manufacturers, a change that would theoretically reduce beneficiary cost-sharing. It is unclear to us how the Department will ensure that discounts are offered—and beneficiary cost-sharing reduced—if the rebate system is overhauled. We look forward to seeing more details from the Department regarding strategies to ensure discounts on list prices of drugs and resulting reductions in cost-sharing for patients. We previously expressed our reservations regarding the efforts of the state of Massachusetts to move toward a restrictive Medicaid formulary and to substitute an in-state panel to make decisions about certain drugs that are currently made by the Food and Drug Administration (FDA). We opposed the Massachusetts waiver proposal for its potential negative impact on patient access to cancer therapies and for the potential to undermine the regulatory review authority of FDA. We have reservations about state Medicaid demonstration efforts that have a goal of restricting formularies because of the potential that they will create obstacles to timely access to drug therapies. Cancer care providers have hailed the 340B drug discount program for providing discounted drugs and, as a consequence, resources to support cancer care activities. Other cancer care professionals have criticized the program for disrupting the best site for cancer care and threatening the financial viability of some oncology practices. The Government Accountability Office has identified a number of problems with the 340B program, including the failure to benefit the patients who were the program’s intended beneficiaries. The 340B program has had significant effects on the delivery of cancer care in the United States, and we urge that the implications for cancer patients be carefully considered as options for changes in the program are considered. We understand that a number of proposals for 340B reform have been offered and that still more recommendations are likely; we will be active in the debate related to 340B changes to ensure that cancer patient concerns are fully considered. The blueprint suggests that drug list prices be included in direct-to-consumer (DTC) advertisements. Although we appreciate the desire to provide patients information about their drugs, we are not persuaded that list prices in DTC ads will be beneficial to cancer patients. The more meaningful information for cancer patients is what their cost-sharing responsibility would be for a drug advertised in a DTC ad. Of course, that information is difficult to provide on population basis because cost-sharing is dependent on the structure of the patient’s insurance plan. Moreover, we have a concern that providing only list prices, without reference to the patient’s insurance coverage, will serve to discourage cancer patients from pursuing treatment. The list price as the sole piece of price or cost information could dissuade patients from pursuing care. We generally support more transparency about drug prices. However, the usefulness of drug pricing information and the ability to act on the basis of the information depend on the quality of the data and the time at which the data are presented. There may be some value in a drug pricing dashboard that highlights list prices and improvements in Medicare Part D explanation of benefit documents. However, those documents provide information to patients after their care occurs and after decisions about drug therapies have been made. We recommend instead that there be a much more aggressive effort to provide Medicare beneficiaries quality information about Part D plan options, so that they understand the coverage and cost-sharing requirements in all plan options as well as the basic structure of Medicare Part D. The most important decision that patients can make is the Part D plan they purchase. Education will also help them in the best utilization of the plan in which they enroll. We appreciate the opportunity to comment on the drug pricing blueprint. Much more work remains to be done to transform the ideas in the blueprint into actionable policy proposals. We look forward to additional discussion and interaction with the Department to make the blueprint a viable and patient-focused drug pricing plan. Zafar SY, Peppercorn JM, Schrag D, et al. The Financial Toxicity of Cancer Treatment: A Pilot Study Assessing Out-of-Pocket Expenses and the Insured Cancer Patient’s Experience. The Oncologist, 2013. Zafar SY. Financial Toxicity of Cancer Care: It’s Time to Intervene. Journal of the National Cancer Institute, 2015. Global Oncology Trends 2018. IQVIA Institute for Human Data Science, May 2018.